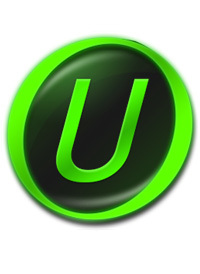 Uninstallation Module, IObit Uninstaller helps you remove unwanted toolbars thoroughly. As time going on, your PC will easily become slow after piling up too many leftovers in registry after general uninstallation. But now users can remove the programs and all leftovers quickly by just 1 click in IObit Uninstaller 5; and get a cleaner, faster and more stable PC. Additionally, IObit Uninstaller can also remove programs and pre-installed apps in Windows 10. Many stubborn programs cannot be uninstalled or uninstalled completely in an easy way. IObit Uninstaller will continue the unfinished uninstall process caused by system reboot; and it also can create a system restore point before every uninstallation in case of unexpected happens. Sometimes users will forget to remove the leftovers after uninstallation, and the new tools in IObit Uninstaller can help them continuing powerful scan for the programs in the uninstall history, as well as cleaning other useless update/install package and invalid shortcuts etc. Download IObit Uninstaller, and you can even easily find the basic Windows Tools in it.